Louisville has become a hot spot for music, food, beer, and bourbon. Each summer, all of these converge to give the city a few months of nonstop concerts, festivals, and street fairs. And lucky for you, you’ll never miss out on the great ones, because we’ve got ‘em all right here in one calendar. Candy Dulfer and the Rippingtons Part of the Summer Jazz and R&B Series. Candy Dulfer and the Rippingtons Iroquois Amphiheater Part of the Summer Jazz and R&B Series. Mountain Deer Revival Free admission and suitable for the whole family. Bicentennial Park, New Albany, Ind. Mountain Deer Revival Bicentennial Park, New Albany, Ind. Free admission and suitable for the whole family. Wilco Wilco returns to Louisville with openers Kacy & Clayton. Wilco Iroquois Amphitheater Wilco returns to Louisville with openers Kacy & Clayton. Glass Animals Part of the Iroquois Amphitheater Concert Series. Glass Animals Iroquois Amphitheater Part of the Iroquois Amphitheater Concert Series. 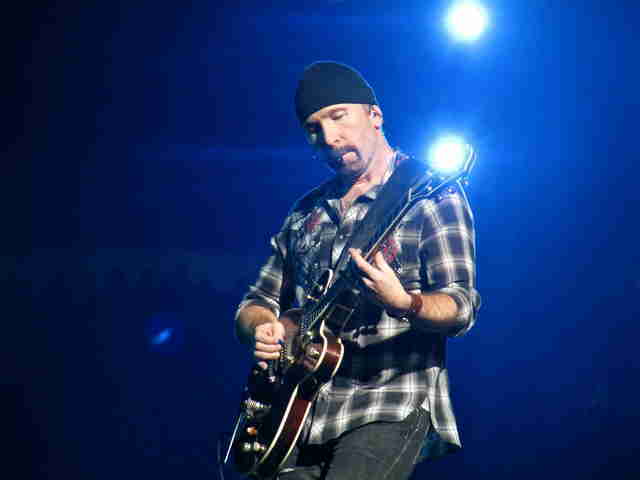 U2 Ireland’s rock heroes invade Louisville. U2 Papa John’s Cardinal Stadium Ireland’s rock heroes invade Louisville. Sundy Best Presented by WAMZ. Sundy Best Fourth Street Live! Presented by WAMZ. Thomas Wynn & the Believers The Orlando band rocks a free show in Indiana. Thomas Wynn & the Believers Bicentennial Park, New Albany, Ind. The Orlando band rocks a free show in Indiana. Vivian Green A concert by the R&B pianist chart-topper. Vivian Green Waterfront Park Great Lawn A concert by the R&B pianist chart-topper. Stoplight Observations Southern rockers take the stage as part of this free concert series. Stoplight Observations Bicentennial Park, New Albany, Ind. Southern rockers take the stage as part of this free concert series. Louisville Philharmonia A free show for the entire family. Louisville Philharmonia Iroquois Amphitheater A free show for the entire family. Joe Nichols Free, family-friendly event. Joe Nichols Jeffersonville RiverStage Free, family-friendly event. Dispatch and Guster Dispatch stops in Louisville as part of its America, Location 12 Tour. Dispatch and Guster Iroquois Amphitheater Dispatch stops in Louisville as part of its America, Location 12 Tour. Waterfront Wednesday, feat. Pokey LaFarge, Robyn Hitchcock Free concert with as part of WFPK’s Waterfront Wednesday series. Waterfront Wednesday, feat. Pokey LaFarge, Robyn Hitchcock Waterfront Park Great Lawn Free concert with as part of WFPK’s Waterfront Wednesday series. Poorcastle Local bands take the stage for three straight days, making music for charity. Poorcastle Apocalypse Brew Works Local bands take the stage for three straight days, making music for charity. 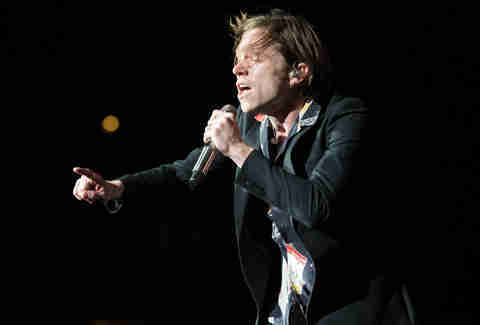 Cage the Elephant NeedtoBreath and others will also perform this day. Cage the Elephant Forecastle Festival NeedtoBreath and others will also perform this day. Sturgill Simpson LCD Soundsystem will also be playing day two. Sturgill Simpson Forecastle Festival LCD Soundsystem will also be playing day two. Weezer And you guessed it… PJ Harvey will accompany Weezer on day three. Weezer Forecastle Festival And you guessed it… PJ Harvey will accompany Weezer on day three. Bush The British rockers perform Downtown. Bush Fourth Street Live! 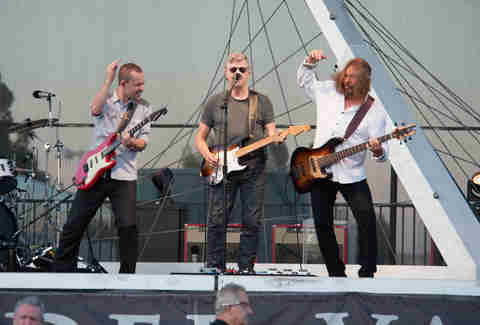 The British rockers perform Downtown. Jake Owen Country star Jake Owen tears up Fourth Street Live. Jake Owen Fourth Street Live! Country star Jake Owen tears up Fourth Street Live. Waterfront Wednesday feat. Strand of Oaks Low Cut Connie also will perform as part of WFPK’s Waterfront Wednesday series. Waterfront Wednesday feat. Strand of Oaks Waterfront Park Great Lawn Low Cut Connie also will perform as part of WFPK’s Waterfront Wednesday series. Jefferson Tarc Bus with The Mad Taxpayers As part of Coca-Cola's Summer Concert Series. Jefferson Tarc Bus with The Mad Taxpayers RiverStage As part of Coca-Cola's Summer Concert Series. Jamey Johnson The singer of hits like “The Dollar,” as well as many more artists, will perform Downtown. Jamey Johnson Fourth Street Live! The singer of hits like “The Dollar,” as well as many more artists, will perform Downtown. Lyle Lovett and His Large Band Part of the Iroquois Amphitheater Concert Series. Lyle Lovett and His Large Band Iroquois Amphitheater Part of the Iroquois Amphitheater Concert Series. Derby City Jazz Fest Two full days of jazz in the Paddock area, featuring Maysa. Derby City Jazz Fest Churchill Downs Two full days of jazz in the Paddock area, featuring Maysa. Chase Rice Country concert in the heart of Downtown. Chase Rice Fourth Street Live! Country concert in the heart of Downtown. Belle & Sebastian With opening act Julien Baker. Belle & Sebastian Iroquois Amphitheater With opening act Julien Baker. Ginuwine with Tony! Toni! Tone! R&B concert as part of the free Turf Concert Series. Ginuwine with Tony! Toni! Tone! Kentucky State Fair R&B concert as part of the free Turf Concert Series. Dylan Leblanc A rock party in the streets with food and vendors. Dylan Leblanc Seven Sense Festival A rock party in the streets with food and vendors. Blues Traveler ’90s hitmakers perform as part of the free Turf Concert Series. Blues Traveler Kentucky State Fair ’90s hitmakers perform as part of the free Turf Concert Series. Moon Taxi With The Weeks and Los Colognes. Moon Taxi Iroquois Amphitheater With The Weeks and Los Colognes. 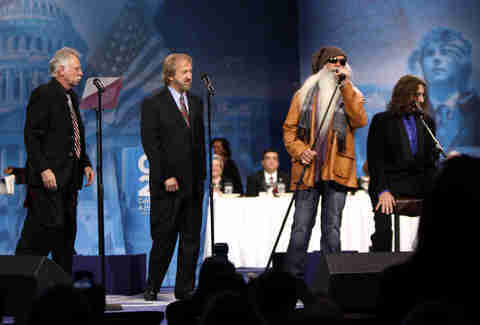 The Oak Ridge Boys Country legends perform as part of the free Turf Concert Series. The Oak Ridge Boys Kentucky State Fair Country legends perform as part of the free Turf Concert Series. Zach Williams For King & Country opens this free show as part of the Turf Concert Series. Zach Williams Kentucky State Fair For King & Country opens this free show as part of the Turf Concert Series. Happy Together Tour Artists from the ‘60s unite to perform the hits as part of the free Turf Concert Series. Happy Together Tour Kentucky State Fair Artists from the ‘60s unite to perform the hits as part of the free Turf Concert Series. Whiskey Jam The free Turf Concert Series continues with Chase Bryant, Dylan Scott, and Chris Shrader. Whiskey Jam Kentucky State Fair The free Turf Concert Series continues with Chase Bryant, Dylan Scott, and Chris Shrader. Farenheit 17 Three local artists join the bill as part of the free Turf Concert Series. Farenheit 17 Kentucky State Fair Three local artists join the bill as part of the free Turf Concert Series. Easton Corbin A country concert featuring Kentucky native JD Shelburne, part of the free Turf Concert Series. Easton Corbin Kentucky State Fair A country concert featuring Kentucky native JD Shelburne, part of the free Turf Concert Series. Imagination Movers Family-friend concert with the high-energy quartet. Imagination Movers Iroquois Amphitheater Family-friend concert with the high-energy quartet. Theory of a Deadman Goldy Locks will also rock the state fair as part of the free Turf Concert Series. Theory of a Deadman Kentucky State Fair Goldy Locks will also rock the state fair as part of the free Turf Concert Series. Gov’t Mule and Blackberry Smoke Part of the Iroquois Amphitheater Concert Series. Gov’t Mule and Blackberry Smoke Iroquois Amphitheater Part of the Iroquois Amphitheater Concert Series. Matthew West, Colton Dixon, Hawk Nelson and Sarah Reeves A co-headlining Christian concert wraps up the free Turf Concert Series. Matthew West, Colton Dixon, Hawk Nelson and Sarah Reeves Kentucky State Fair A co-headlining Christian concert wraps up the free Turf Concert Series. Waterfront Wednesday, feat. James Lindsey, In Lightning James Lindsey headlines as part of WFPK’s Waterfront Wednesday series. Waterfront Wednesday, feat. James Lindsey, In Lightning Waterfront Park Great Lawn James Lindsey headlines as part of WFPK’s Waterfront Wednesday series. Kip Moore Country crooner Kip Moore performs Downtown. Kip Moore Fourth Street Live! 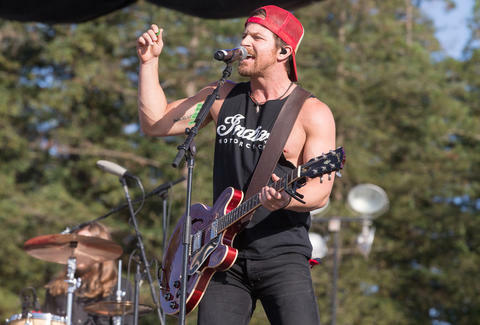 Country crooner Kip Moore performs Downtown. Louisville Orchestra The orchestra plays a free, family-friendly concert in the park. Louisville Orchestra Iroquois Amphitheater The orchestra plays a free, family-friendly concert in the park. Bourbon and Beyond, feat. Steve Miller Band, Eddie Vedder, Band of Horses, Buddy Guy, Kenny Wayne Shepherd, and more A star-studded concert as part of a two-day festival at Champions Park. Bourbon and Beyond, feat. Steve Miller Band, Eddie Vedder, Band of Horses, Buddy Guy, Kenny Wayne Shepherd, and more Champions Park A star-studded concert as part of a two-day festival at Champions Park. Bourbon and Beyond feat. Stevie Nicks, Joe Bonamassa, Gary Clark Jr., Paul Rodgers, Johnny Lang and more A star-studded concert as part of a two-day festival at Champions Park. Bourbon and Beyond feat. Stevie Nicks, Joe Bonamassa, Gary Clark Jr., Paul Rodgers, Johnny Lang and more Champions Park A star-studded concert as part of a two-day festival at Champions Park. Waterfront Wednesday feat. The Secret Sisters The Secret Sisters headline a concert as part of WFPK’s Waterfront Wednesday series. Waterfront Wednesday feat. The Secret Sisters Waterfront Park Great Lawn The Secret Sisters headline a concert as part of WFPK’s Waterfront Wednesday series.